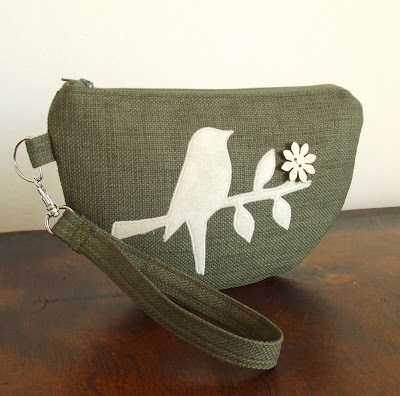 One of my favorite bags in the Pesky Cat Designs shop is the Semi-Circle Purse which inspired me to create my new wristlet design. A wristlet is perfect for days you don't want to carry a large purse but still want to bring your essentials. 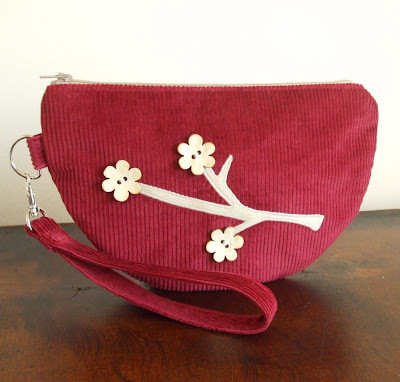 It has a detachable strap so you can use it as a wristlet or a clutch and there is one inner pocket that is perfect for your credit cards or cash. Check out all the new wristlets available now in the Pesky Cat Designs shop! This was the first time I saw the texture of your new wristlets from up close--they are GORGEOUS! Another sweet design - perfect for an evening out! How pretty! I am loving the fabric and embellishments! I am loving this new style, especially the decorative use of buttons!